Charting & Charting Styles ‘Charting’ is essentially the most basic component of technical analysis. As such, some would argue that the more raw and basic data plotted on a chart is of little use to the technical trader. Instead, they might argue that a technical trader needs more advanced indicators as a means of determining price direction. Indicators such as moving averages, momentum indicators, oscillators and so on… will, ultimately be of grand use to the technical trader, but not without first learning the basics! The line chart’s simplicity is often seen as its strength. Or so it may be in other markets. 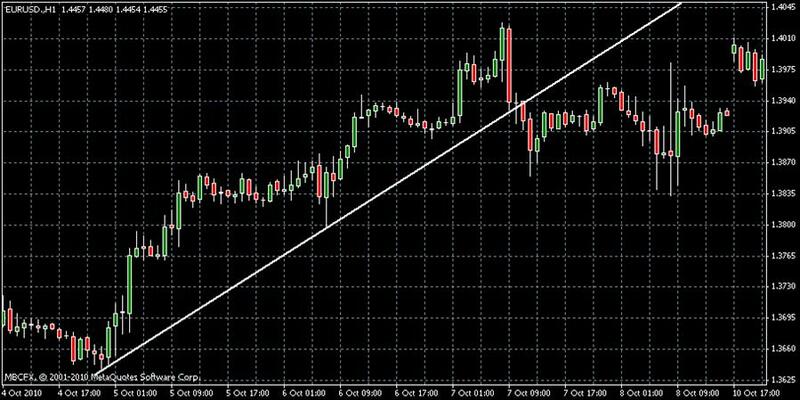 In the Forex market the line chart offers very little insight into the market’s volatility or movement within the time frame of a single day. 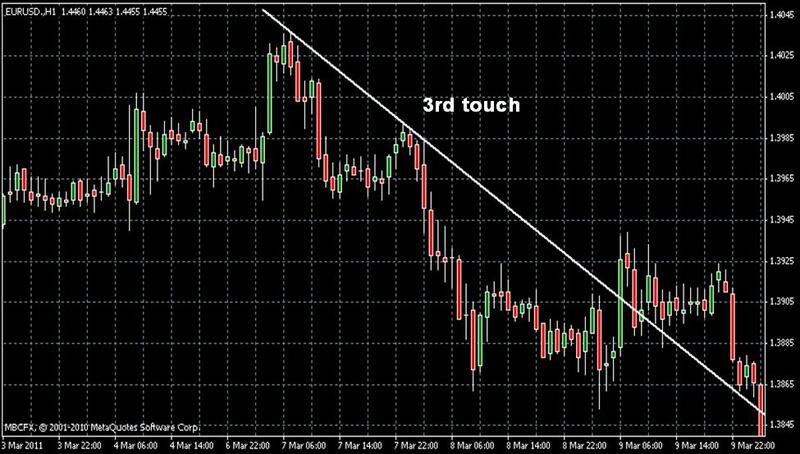 As most Forex traders are ‘day traders’ (often in and out of positions in a 24 hour period) a line chart, even if plotted by the hour, would still leave much to be desired. As we continue to explain other charting methods, the previous point will make more sense! Bar Charts Bar charts are in essence the less visually appealing version of Candlestick charts. 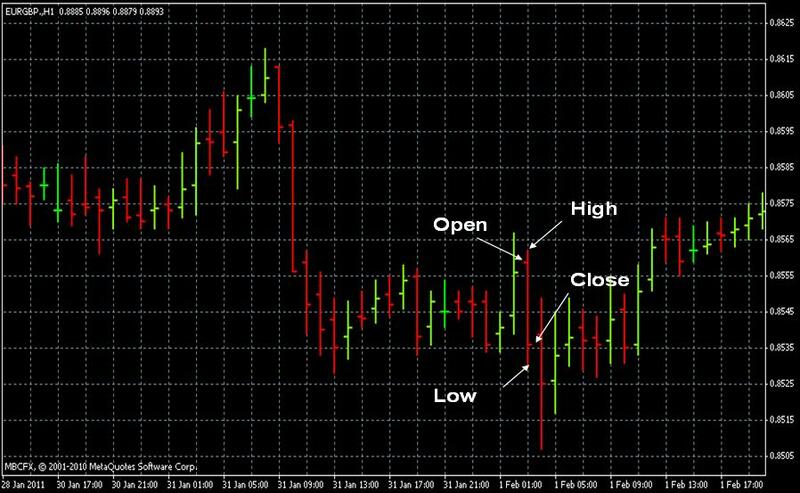 Candlestick charting is the most popular method used by today’s Forex traders. However, it might be important to understand the one before the other. A Bar Chart displays a price’s open, high, low and closing prices. As shown in the image below the top of the bar chart represents the highest price of the period, and the bottom of the bar represents the lowest price of the period. To the left and right side of the bar are “ticks”, the left tick represents the open price of the period and the right tick represents the close price of the period. Candlestick Charts Really the only choice for today’s Forex traders, the candlestick chart offers the same information as does a bar chart, but does so in a much more ascetically pleasing manner. As is illustrated in the two images below the candlestick is comprised of a “body” and an upper and lower “wick”. The body of the candle is typically a dark color when the close is at a lower price than was the open (a bearish candle). Conversely, if the close is at a higher price than was the open the candle will be a light color (a bullish candle). The wick of the candle represents the entire range of price for that period. The top of wick of course represents the price at its highest point, while the bottom of the wick represents the price at its lowest point. A quick glance at a candlestick will tell a trained eye literally everything they might want to know about a price within a certain time frame, i.e. what was the high and low price, was it bullish or bearish, where was the open and close. A trader can also quickly glance at a series of candles and with little thought note how many consecutive candles have been bullish or bearish; which in conjunction with other technical analysis often serves as an appropriate timing method to enter a trade. What am I Looking For? More often than not, traders in the Forex market doom their own technical analysis. The reason is simple; they look at a chart and try to remember everything that they have ever studied about technical analysis. Before long it seems that one philosophy only contradicts another, an obvious entry becomes a source of confusion and so on. Some of the best traders in world have a bit of a mental check list that is always considered when analyzing a chart. However, they also know that too many technical indicators used in conjunction with one another is a fast track to a certain demise. Are there any basic chart formations such as ascending or descending triangles, wedges, pennants, double tops or bottoms or otherwise that might suggest a pending breakout or trend reversal. Is the market trading within the walls of any obvious support and resistance levels, or is the market trading within a channel? Support & Resistance Trends Fortunately for traders in the Forex market, dealing in this market is often about dealing in trends. It is often said that ‘the trend is your friend’; there is truth to this, but only when a trader understands why the market trends and the underlining factors that can often disassemble a forming trend (these factors will be covered throughout the course as we further analyze technical analysis). Timing an entry point within a trend is as key as recognizing a trend, as obviously they will not last forever. First consider the time frame of the chart that you are viewing in relation to the likely continuance of the trend. As mentioned earlier, we are usually looking to buy or sell on the third touch of a support or resistance level within a trend. Using historical data in your charts, you will notice that the average trend will not provide more than 3 to 4 additional touches of the support or resistance after the first 3 that would have inspired you to note the trend to begin with. Thus, depending upon whether you are viewing a 1 minute chart, a 5 minute chart, or so on you will need to gage an estimated time frame within which you will trade.